The photographs on this site and in the book are visually stunning. Photographing time-varying light sources is surprisingly easy. I'm Dan Bennett and I'd like to welcome you to the Time-Varying Light Sources web-site. Observing and photographing time-varying light sources is a passion of mine, and the book is — as far as I know — the first and only book devoted to the subject. This web-site has some resources to get you started on this fascinating new way of seeing the modern world. 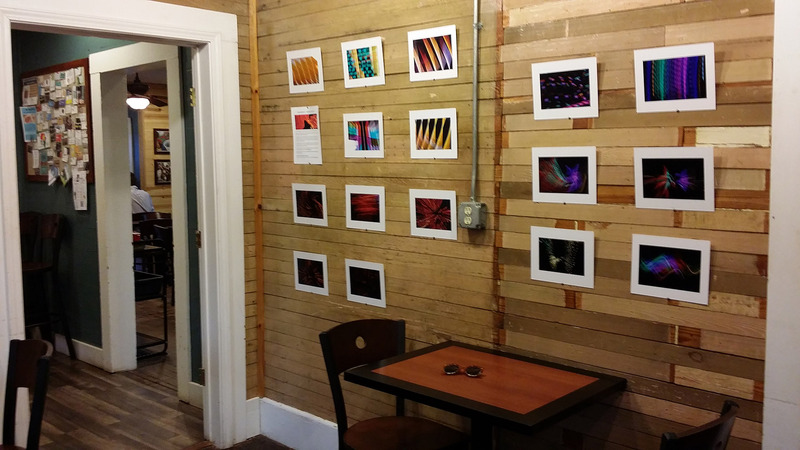 And if you're a photographer, check out the photography section! Enjoy your time here, and I hope you catch the passion! This website is about lights. 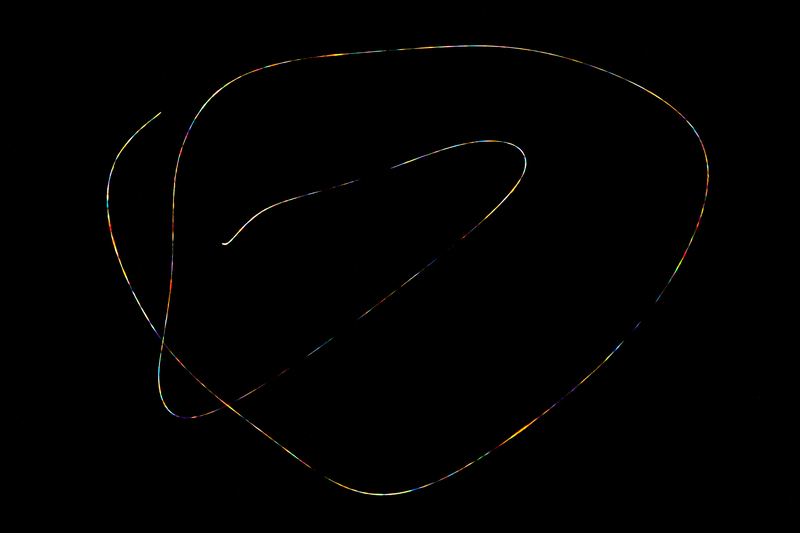 It's about neon lights, street lights, vehicle lights, moths, lightning and stars. It's about how to see these lights as you've never seen them before. A lot of what we see, especially at night, is illusion. What the eye perceives as steady illumination is often anything but steady. A road that’s lit by street lights is actually dark for nearly half of the time. The red glow of a neon sign is the sum of thousands of pulses of light scurrying back and forth along the tubes. A document projected on an office screen is cycling through red and green and blue. All of these variations are too fast for the human eye to see... at least if you look in the usual way. However, it’s not hard to train yourself to see – with your own eyes – the time-varying behaviors of many light sources. A few simple techniques with a mirror will reveal the secrets of many illumination technologies and naturally varying lights. And if you’re really good, you won’t need the mirror. 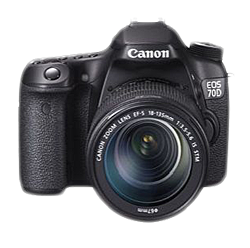 Of course, a camera can unlock these wonders too, and this web-site shows you how. 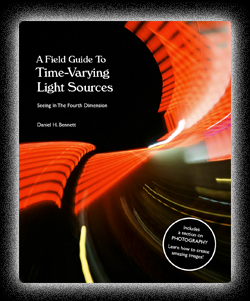 This is the companion website for the book, A Field Guide To Time-Varying Light Sources, by Daniel H. Bennett.